The EC is likely to be ready with a presentation on how fool-proof the EVMs are. New Delhi: The Election Commission is set to meet leaders of several Opposition parties on Monday to clear their doubts on Electronic Voting Machines (EVMs) and show how the machines are tamper-proof. According to a leading daily, the EC will share a detailed presentation on EVMs with the opposition leaders, seeking to highlight the distinction between defective EVMs and tampering of EVMs. An EC functionary told the daily that while 1-2% of EVMs develop defects during polls and have to be replaced, no incident of EVM tampering has been detected or proved yet. The EC has been clear in its stand that going back to ballot paper would not be a wise move in a time when technology is used for most transactions. He pointed out that as many as 2,000 invalid votes were recorded on an average in each constituency when ballots were used. It also gave candidates with muscle power advantage and counting of ballots was a slow and error-riddled process. “All such defective EVMs are promptly replaced with good machines. No wrong vote is ever recorded even in a defective EVM,” an officer told the daily. Chief Election Commissioner Sunil Arora has also said often enough that they were not going back to ballot boxes. “We have been using EVMs for more than two decades now. No way are we going back to the ballot boxes. Some political parties demanded that VVPATs be used in all polling booths. Some parties demanded that results from all EVMs be matched with VVPAT slips. 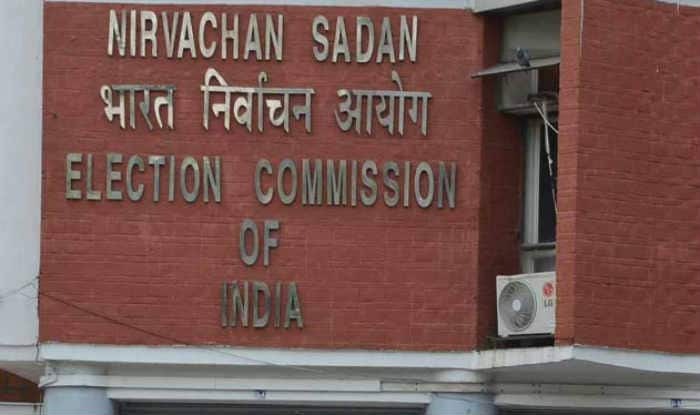 Commission has informed the political parties that VVPATs will be used in all polling booths countrywide in the forthcoming Lok Sabha elections,” he said. Meanwhile, the EC has decided to provide the visually impaired voters with Braille voter slips in the Lok Sabha elections. Braille enabled slips were used in the recently held assembly elections also. EMVs have a Braille feature. The ballot paper pasted on the machine with name and symbol of candidates is Braille-enabled. Visually impaired voters will also be given Braille election photo identity cards.